﻿ LINS Smoodees® – Hope Springs Eternal! 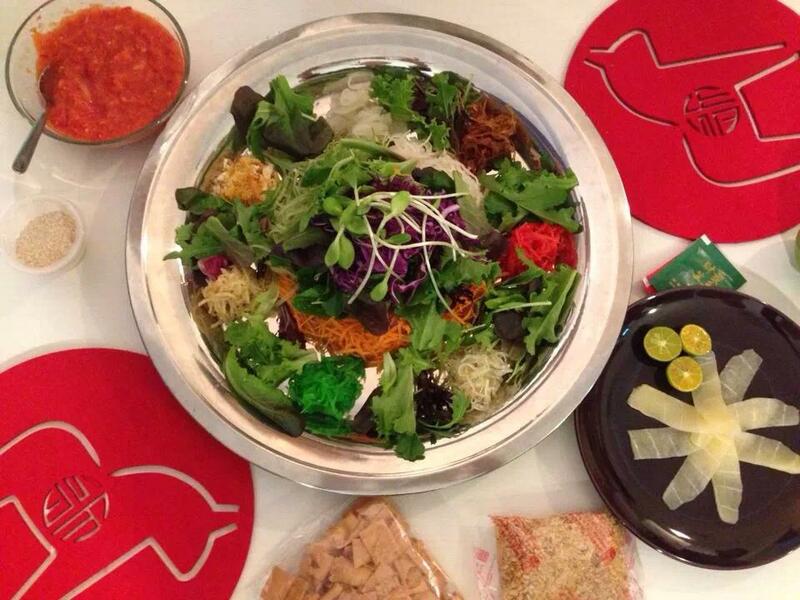 An eclectic Chinese New Year menu of classic dishes with a refreshing twist! A refreshing and soothing start, great for our hot tropical weather and to ward off spring fevers and phlegmy coughs. Serve this to your guests when they come visiting. 2) Raw Vegan 'Yu Sheng' salad with Mandarin Orange & Plum Blossom dressing My favourite for the season! This time, I show you how to incorporate a completely vegetarian 'salmon' so close to the real fish, you won't feel like you're missing out! A wonderful, fragrant coconut-cream based stew that will complement rice and noodles. 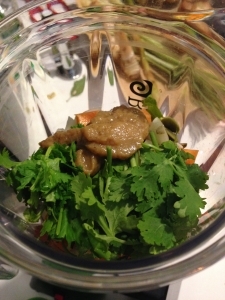 Cabbage, carrots, mung bean noodles, mushrooms, lily buds in a gravy that you can slurp up. Oh, did I also say, this is a raw marinated dish? No more standing behind the wok to simmer this dish! A creamy mixture of tofu, black crunchy fungus, edamame beans, eggplant & carrot - gently pan-fried to golden perfection. This is my children's favourite. Due to time constraints, I will do a quick demo of these pre-made treats, as actual dehydration time is 18 hours! Still you can get to sample these yummy, low calorie, enzyme rich twists to the usual baked goodies as the culmination to an abundant feast. This extended Asian Raw Pantry menu features both raw & cooked items that will also allow your non-raw family members to join in the fun. Please confirm attendance with full payment by 1 February. I am so excited to share these family favourites with you. Looking forward to playing with you at the Asian Raw Pantry this new year season. Keep well! Secure your seat with us by 1 February 2015!